Australian citizens are required to hold a visa before entering Vietnam and enjoying the sights and sounds of Vietnam. 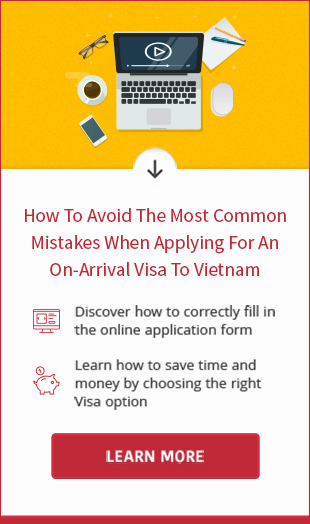 Knowing the process of getting Vietnam visa helps ensure that you are not left with unexpected surprise at last minute. 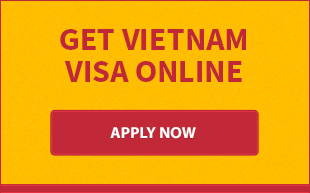 Applications for a Vietnam visa for Australian citizens can be completed online through the agency’s website or at any Embassy/Consulate of Vietnam. Before applying for the visa, you should check passport validity to make sure that it has at least 6 months validity remaining. If there is no blank page on the passport, a loose-leaf visa will be issued. Step 2: Use your credit or debit card to pay processing fee online. The accepted cards include Visa, MasterCard, American Express, JCB and Diners Club. The charge is $16 for 01 month single, $23 for 1 month multiple, $26 for 3 months single and $45 for 3 months multiple. For application of groups, the fee is lower. Please check the fee here. The approval letter will be sent to your email within 2 business days along with an entry-exit form. In case of emergency, you could request Rush Visa Service to be delivered the approval on the same day. Your entry date is shown on the letter and it’s also the date that your visa becomes valid. You are allowed to visit Vietnam ANYTIME during visa validity. With the letter of approval, you are able to board the plane and pick up visa stamp at any Vietnam’s international airports (Hanoi, Danang, Ho Chi Minh). Other documents required on arrival for stamping process include: original passport, entry-exit form, 01 passport photo. Besides, you have to pay stamping fee in order to receive the visa from Immigration Officer. It costs $45 for single visas, $65 for 1 month multiple visa and $95 for 3 months multiple visa. • Flight booking (one way or returned): required for 3 months tourist visa only. • Self-addressed envelope: needed for postal application. One envelop can be used for many applicants. • For application of business visa, you need to provide a letter of entry clearance from the Ministry of Public Security arranged by your business sponsor in Vietnam. If you file the application in person, please visit the embassy from 9:00 am to 5:00 pm. Non-refundable visa fees are various and depend on the length of stay, number of entry. It will be paid in cash, money order or bank cheque, payable to "the Embassy of Viet Nam". Only Australian dollars accepted. The typical processing time takes 3 business days while the express processing requires 1 business day only. Please share our article “How to get a Vietnam visa for Australian citizens” to your friends on social network if you find it helpful. We highly appreciate when you do that. Please do not hesitate to contact us when you need assistance with visa application.